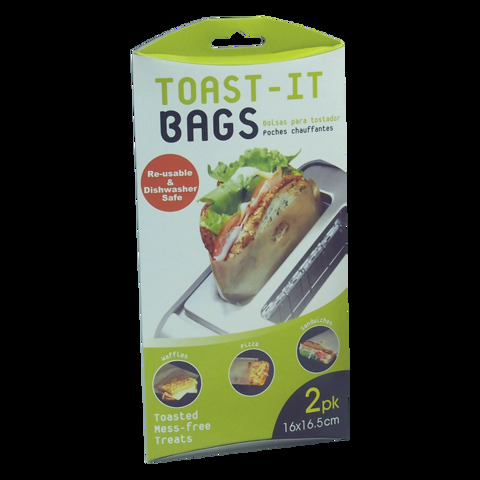 Toast It Bags Pk/2. 16 x 16.5cm. Light Brown Colour. Fibreglass PFTE. 120G Packaging: Colour Box.